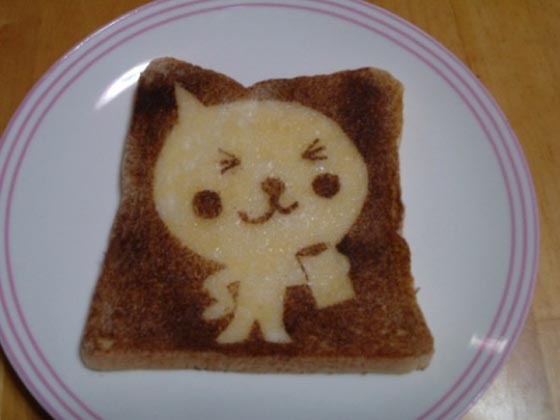 Japanese are constantly making something cute out of their daily food, such as Anime Coffee Swirl Art, Bento box Art, and Handmade Desert. 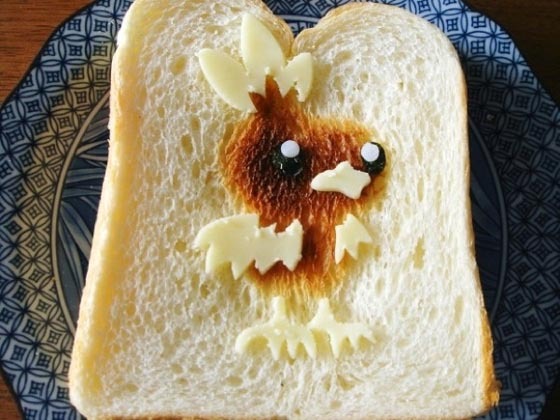 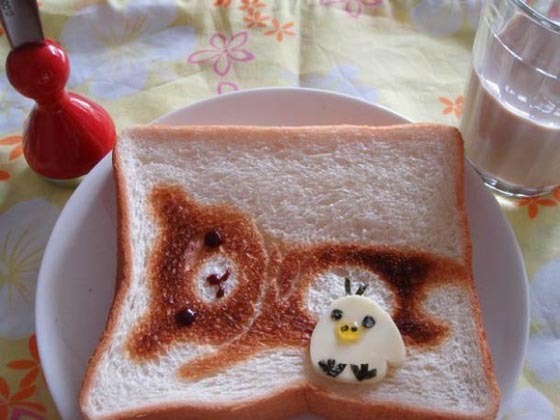 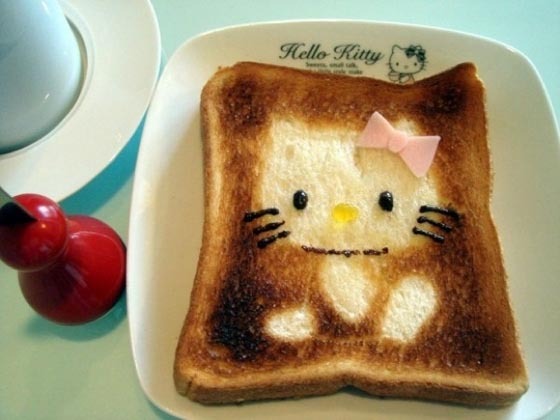 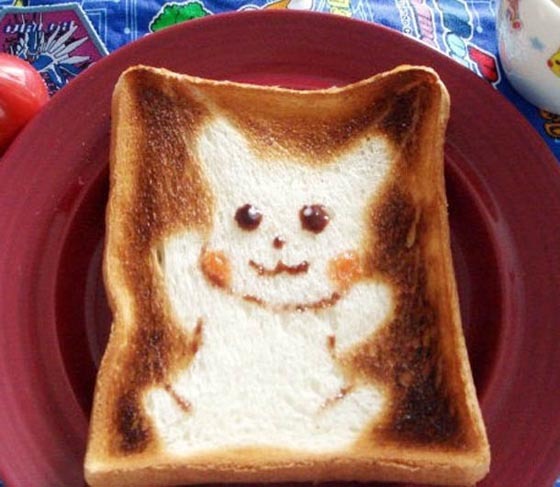 And today we will show you another “too adorable to eat” creation – toast. 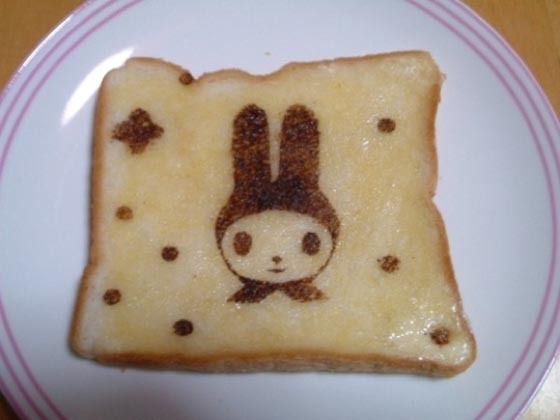 You can decorate your breakfast toast with small cute characters (Japan of course) or any pattern with a piece of aluminum foil. 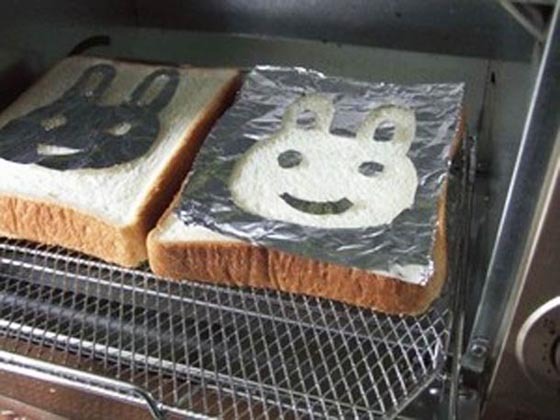 Simply cut the aluminum foil to the shape you want, place it on the toast and then put it inside the oven. 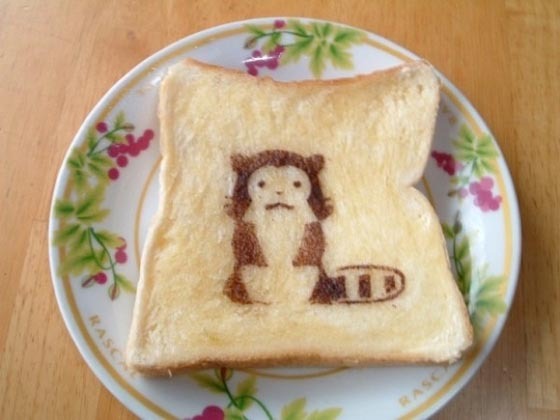 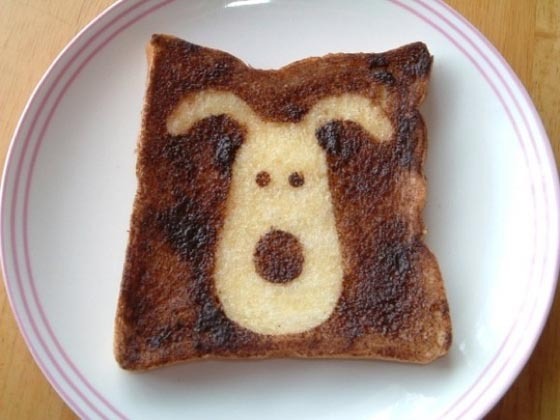 Wait until the uncovered bread turning brown, then your little cute personalized toast is ready. 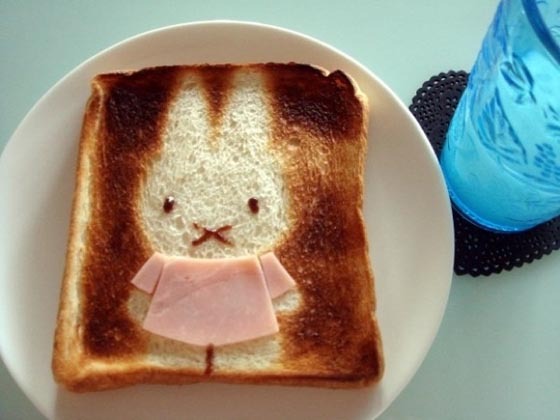 Take a look at some cute examples we found and check the tutorial if you want to create your own.